Functions with an approved aluminium “single point” load cell according to OIML R60 standards with protection against dust and water splashes according to IP65 standards (350 Ohm input resistance). Steel tubular structure, oven-fire painted blue, with adjustable resting feet and level. Fitted with satined AISI 304 stainless steel loading surface. Shielded 3m connection cable with connectors for connection to the indicator. CE-M 3000e or 3000+3000e approval. CE-M 6000e or 6000+6000e approval. Belt and roller units to be applied on the loading surface (upon estimate). Special sizes and capacities (upon estimate). (*) These divisions are obtainable only with the relative options. ECEM CE-M Single platform legal for trade approval. 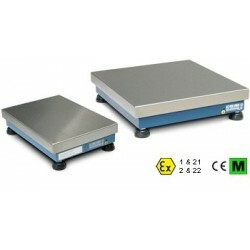 ECEM2 CE-M Single platform legal for trade dual range approval. CCATEX ATEX certificate for each load cell. Categories: ATEX II 1G Ex ia IIC T6 (Ta -20÷+40°C) TX (Ta -20÷+65°C) Ga and ATEX II 1D Ex ta IIIC TX°C (Ta -20÷+40°C) TX°C (Ta -20÷+65°C) Da IP65. Complete with manual and ATEX CE CONFORMITY DECLARATIONS (available in EN, DE, FR and IT). DCATEXMECH Declaration of ATEX conformity of whole, Ex II 2GD X system with relative whole system label, for mechanical structure with ATEX load cells (each cell must be certified with CCATEX option). NOTE: option to order only if the platform is ordered without the indicator. ATEX CONFORMITY DECLARATIONS will be supplied in English. TIP68 IP68 connection for single cell platforms, fitted with IP68 connector, for hermetic system. TCB350 Stainless steel support column h= 350mm with painted steel fixings, and bracket for DFW, DFWL, DFWLI, 3590E, CPWET, and TRI series weight indicators. NOTE: on the TS platforms it's possible to mount only DFWL, DFWLI and TRI. TCB500 Stainless steel support column h= 500mm with painted steel fixings, and bracket for DFW, DFWL, DFWLI, 3590E, CPWET, and TRI series weight indicators (not compatible with TS platforms). TCB700 Stainless steel support column h= 700mm with painted steel fixings, and bracket for DFW, DFWL, DFWLI, 3590E, CPWET, and TRI series weight indicators (not compatible with TS platforms). CSP38D Stainless steel column 350x350mm, h=750mm. Painted steel base, for the indicators of the DINI ARGEO and SCALE HOUSE range. TB60R2 Painted steel cart with low supporting surface, for 400x400 mm and 400x500 mm platforms. Height of the loading surface: 260 mm. TB60BR2 Painted steel cart with low supporting surface, for 500x500 mm platforms. Height of the loading surface: 260 mm. TB300R2 Painted steel cart with low supporting surface, for 500x600 mm and 600x600 mm platforms. Height of the loading surface: 270 mm. TA60R2 Painted steel cart with high supporting surface, for 400x400 mm and 400x500 mm platforms. Height of the loading surface: 640 mm. TA300R2 Painted steel cart with high supporting surface, for 500x600 mm and 600x600 mm platforms. Height of the loading surface: 650 mm. 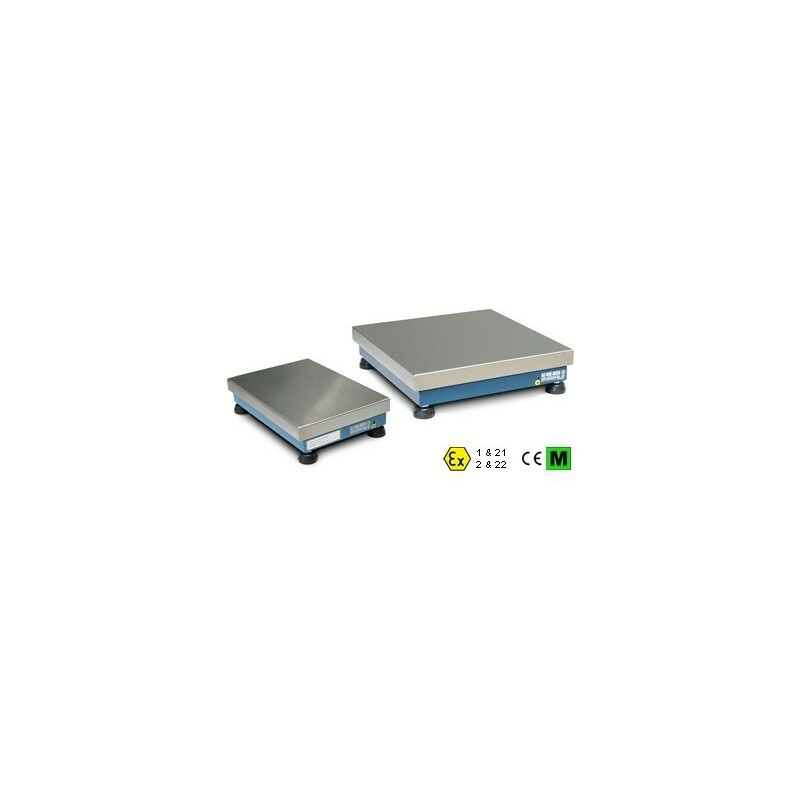 TKDC3 Painted steel cart for double platform systems (TS/TT model on the high supporting surface and TQ/TM/TL/TX model on the low supporting surface), fitted with shelf for printer / labeller. 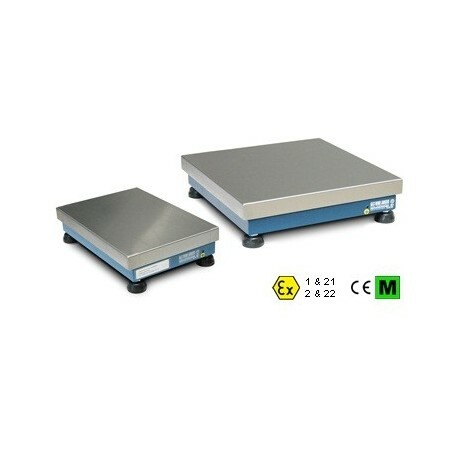 TPBEI Stainless steel plate for scale or labeller support, for TA or TB carts. SGAQR2 Painted steel raising frame for 400x400mm platforms. Height from ground to platform top: 600 mm. SGAXR2 Painted steel raising frame for 600x600mm platforms. Height from ground to platform top: 600 mm. RF50X65 ROLLER UNIT with galvanised ø 32 idle rollers and 75 mm pitch, on a painted frame. Dimensions 500x650 mm. Funcții cu un aluminiu aprobat "punct unic" celulă de sarcină în conformitate cu standardele OIML R60 cu protecție împotriva prafului și a stropilor de apă conform standardelor IP65 (350 Ohm rezistență de intrare). Structură tubulară din oțel, cuptor la foc vopsit albastru, cu picioarele reglabile și nivelare. Echipat cu satinat AISI 304 suprafață din oțel inoxidabil de încărcare. Până la 15 Vdc sursa de alimentare. Cablu ecranat legătură 3m cu conectori pentru conectarea la indicator. CE-M 3000e sau 3000 + 3000e aprobare. CE-M 6000e sau 6000 + 6000e aprobare. Modele de înaltă rezoluție pentru uz intern. Unități Belt și role să fie aplicat pe suprafața de încărcare (la estimare). Dimensiuni speciale și capacități (asupra estimare).